Sorry USOC, but I don't think I'll be accepting your apology. Obviously, I'm still pissed. I'm not "batsh*t" insane about it anymore, but I'm still pissed. Actually, I'm even more pissed now after reading the USOC's second apology letter. I mean, come on. You are going to insult knitters world wide and then have the balls to ask us to give you our time, energy and money? Come on! Ok, for those of you living under an even bigger rock than I, the USOC sent Ravelry a cease & desist letter regarding the Ravelympics. The letter was supposedly a standard form letter but it had some pretty derogatory language geared towards the knitting community. The knitting community instantly went "batsh*t insane" to use Yarn Harlot's term. I completely understand the USOC's desire to protect their trademark name and their logo. In fact, I've been surprised that people were aloud to use the Olympic Rings in their own creations and then post pictures of those items on Ravelry, or anywhere on the internet for that matter. And yes, changing Ravelympics to The Raverly Games would not be all that difficult. But it's the spirit of the thing that gets me. I guess a big part of why I'm so upset is because my Olympic knitting is geared towards charity. My knitting group has always had the Knitting Olympics where everyone signs up for a "sport" (a sweater, a shawl, a hat, mittens, dish clothes, an afghan, something lacy, something with cables.....) then they knit as many of that item as they can while they watch the Olympics on TV. Once the Olympics are over, our group gathers all the knitted items and donates them to various charities. There are no prizes involved other than the satisfaction of knowing that you knit X number of items for a good cause in a relatively short amount of time. I'm also upset about the USOC's wording... "a competition that involves an afghan marathon, scarf hockey and sweater triathlon, among others, tends to denigrate the true nature of the Olympic Games. In a sense, it is disrespectful to our country's finest athletes and fails to recognize or appreciate their hard work." Well, what about knitters' hard work? Knitters have to train their fingers, hands & wrists to form the stitches. We build our biceps by holding the needles. We train ourselves to wield a variety of types and sizes of needles. We train ourselves to read what is basically a foreign language. Many knitters train for a lifetime, not just for the first third of their life like most Olympic athletes do. While we may not run for miles and miles in the hot sun, we tax our bodies in other ways. For example, we've been known to stay awake for 36+ hours straight when we are under a knitting gift deadline, or simply when the project we are working on is just too much fun to put down. We skip meals so that we can continue knitting. We occasionally fail to feed our families and/or wear dirty underwear rather than pause our knitting to do laundry. And hopefully, I'm not the only knitter who's been late picking up their kids because I had to get in just one more row. I'm sure an Olympic athlete has special dietary concerns, but hey - I've been known to eat beans three meals a day for days on end so that I can afford that special skein of cashmere. I bet I'm not the only knitter who's had to make the choice between food and yarn before! We pay for our own "athletic equipment" and training classes/coaches. Knitters are not government sponsored either. And heck, a few of us even take steroids just like a few of those "real" athletes. And then there's the accolades. After the games, many of the athletes make a small fortune selling their name or image & promoting products. They win medals. They win fortune & fame. Meanwhile, knitters, specifically charity knitters, end up with nothing to show for their efforts, not even a tax break. This whole Ravelympics thing has gotten knitters in a panic. The Knitting Games just doesn't have the same ring to it as The Knitting Olympics. It just doesn't give you the same feeling of competition. And frankly, the idea that we might have to change the name irritates me (and plenty of others) to the point that we won't be participating this year. In fact, I plan to boycott the Olympics entirely. To be honest, I only enjoy watching the swimming. I really couldn't care less about the other sports, I only watch so that I can chat with my fellow knitters about how when X happened, I got so excited/horrified that I dropped a stitch. But this year, I won't be watching at all. 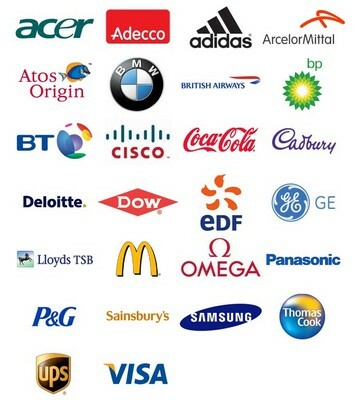 I think I may even boycott the Olympic sponsors. Curious about who they are? So yeah, my feelings are hurt and I'm still a little pissed about it. How about a Knitting Civil War - blue vs grey - in celebration of the 150th anniversary of the CW. Start in now and go through April of 2015. You can have battles (150th Gettysburg is next July) and still do the same thing, just with a bit of regional rivalry. Still donate to charity. Still have fun. And watch the Ken Burns series - all 11 hours of it - and all the other CW movies out there (Glory, Gettysburg, Gods and Generals, heck, even Cold Mountain and Gone With the Wind) instead! Seriously, I HAVE been living under a rock, but the USOC seriously botched this one. Ninnies. Is it finished, or is it not?